The API Gallery showcases applications built upon the Active.com API to help get you thinking about what you can do. Email us at support-affiliate@activenetwork.com with your contact information, application name, what your application does, and a link to test the application. Eventful is a leading digital service connecting consumers with entertainment and live events. Over 15 million people rely on Eventful every week to find out what's happening and decide what to do; from movies, concerts and sports to family fun and nightlife. By integrating Active’s directory of things to do, Eventful is able to expand their events listing and reach consumers who are looking to be active members in their communities through participation. MapMyFitness, which aims to create an interactive social network that allows people to enjoy and share their workouts, has partnered with Active.com to improve the Races and Events section of their site. 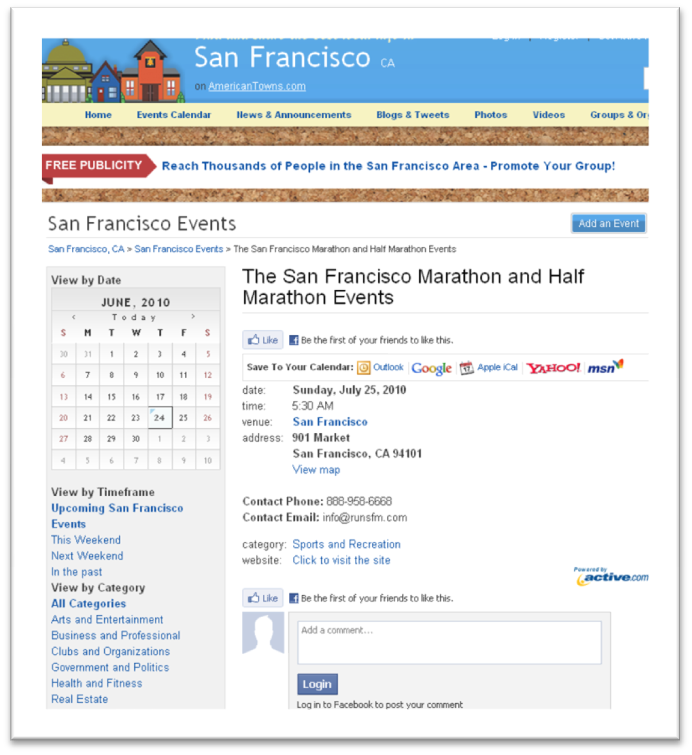 In addition to reviewing Course Maps and Routes for a given event, MapMyFitness visitors can view detailed event information and link to online registration. Zvents helps more than 8 million monthly users find things to do in their local area, and helps thousands of event advertisers increase attendance at their events. More than 15,000 advertisers work with Zvents every month to promote a wide range of local events and activities. By partnering with Active, Zvents gains access to a vast inventory of events and activities and can provide active-minded participants with additional details and the opportunity to get registered. F.Y.I Fly is a social media calendar allowing users to find any type of event near them. 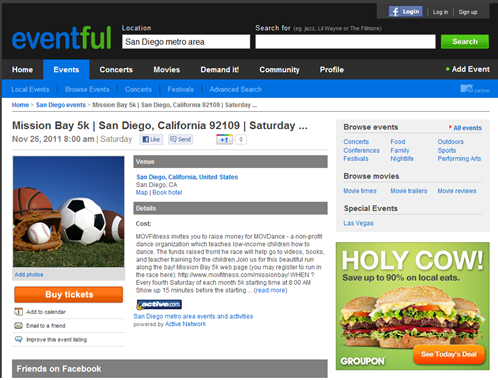 Events are categorized allowing users to easily sort through events that interest them. F.Y.I Fly is integrated with Facebook which enables users to socialize with events by adding comment, pictures and marking they are attending. By using Active.com API, F.Y.I Fly keeps local residence aware of of sporting events going on around them. Snickers Marathon Bar has partnered with Active to enhance their interactive online community. 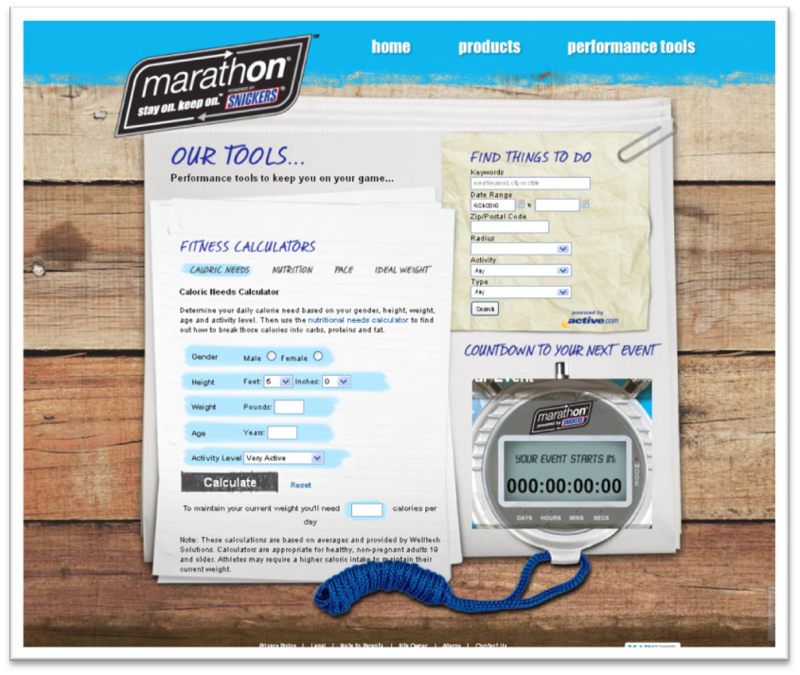 The performance tools section on their website is dedicated to active consumers looking to get involved. Integrating multiple tools that function together in one location, entices users to continually return to the site throughout their training journey. Utilizing the Active “Things To Do Near You” widget, countdown clock and fitness calculators helps to motivate participants for their first race, or stay excited about their next. Dunkin Donuts launched their DDSMART campaign to encourage people to jumpstart a healthy lifestyle through running. 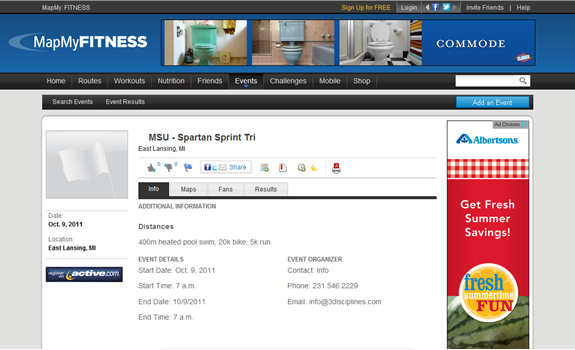 They filtered Active’s directory of events to offer consumers the ability to search for a 5K race in their area. 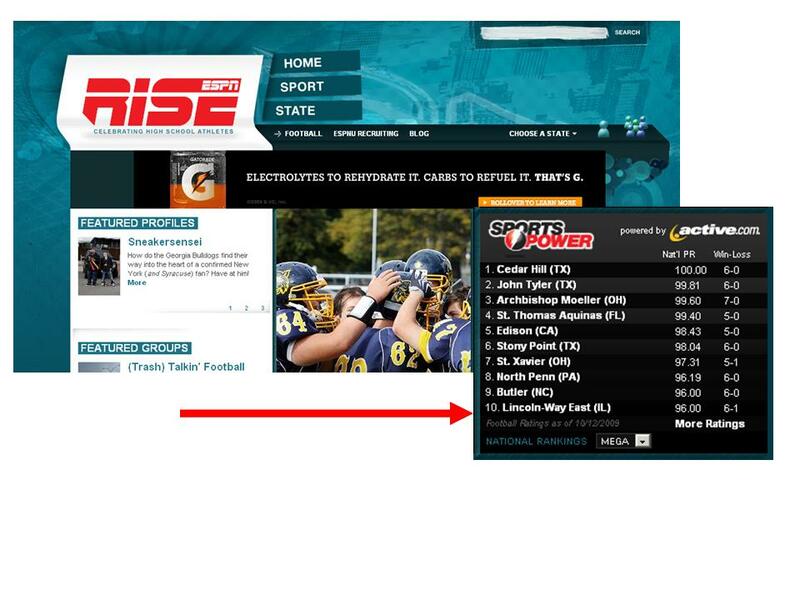 ESPN Rise uses the SportsPower API Service to better fulfill its goal of offering “all the latest high school sports information, including scores, stats, rankings, polls and athlete profiles”. The site features the top ranked high school football teams across five classifications according to the Active Power Ratings. New ratings and rankings are unveiled every week throughout the season, and are generated at the national, state and local level. American Towns is the nation’s leading hyperlocal platform for community information. 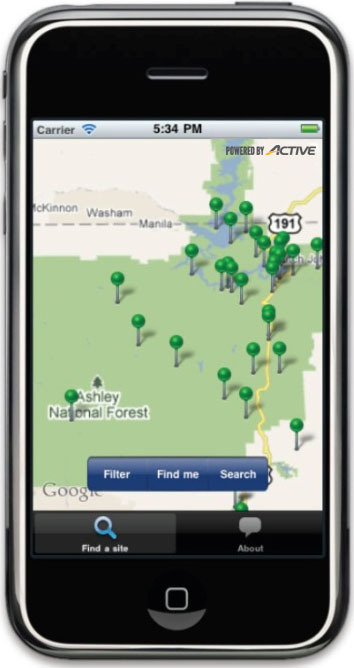 American Towns provides rich local information to more than 3 million individuals in 15,000 towns and is the easiest way to find and share the best local information in every town in America. American Towns’ unique event calendar lists millions of annual events plugging consumers in to resources related to their city, town and neighborhood. 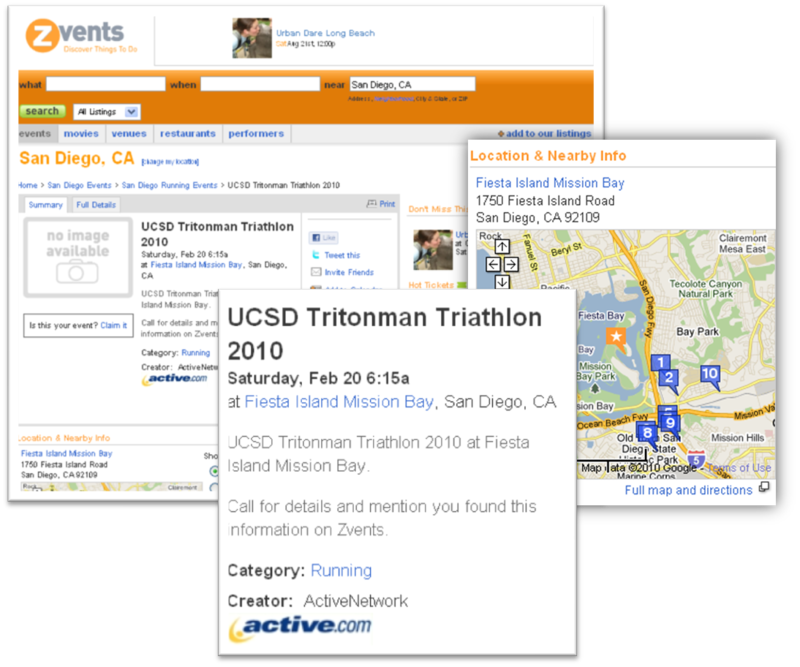 Through the partnership with Active.com, AmericanTowns users will have greater access to events in communities across the country and the ability to search and register online for races, team sports and recreational activities; interact with others with similar interests; and access nutrition, fitness and training tips. Alliance for a Healthier Minnesota, is a site made up of several Minnesota-based corporations working together with the Minnesota Department of Health to improve the health and well-being of the people of Minnesota. The Alliance harnesses the power and influence of Minnesota's employers to engage community members in fun and informative programs to help Minnesotans get and stay healthy. The “Get Moving” section is a search designed to pull Active’s calendar of local fitness events and activities in the state of Minnesota. 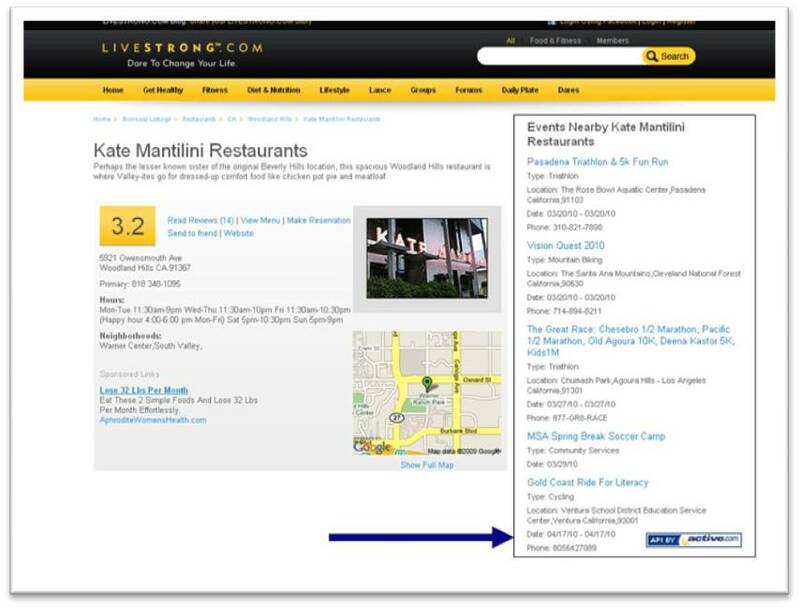 They make it easy for visitors to participate by linking them directly to online registration. WalkJogRun is a website and mobile app which helps runners, walkers and cyclists find routes, create routes, and track their training. 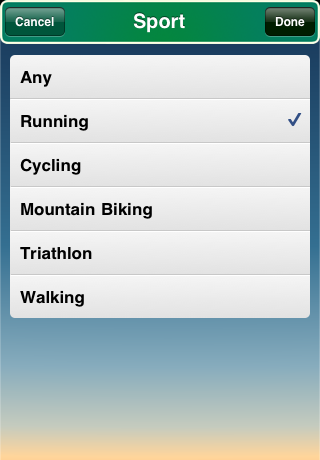 Anyone can search WalkJogRun's event calendars to find running, walking and cycling events. 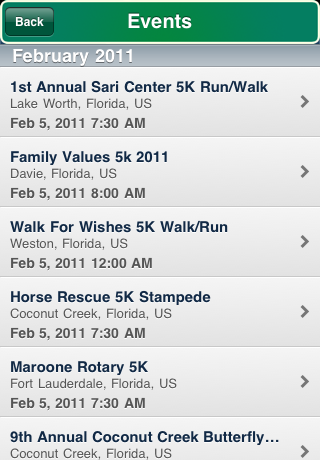 The Active events on WalkJogRun help you to find, plan for, and register for your next event. 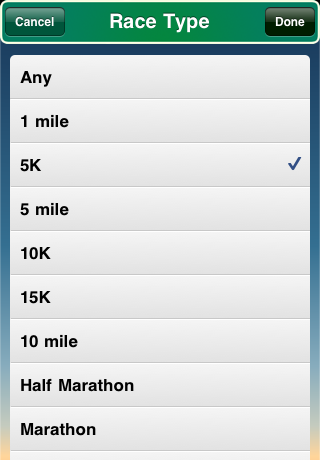 WalkJogRun also maps courses for race directors who would like an interactive map for their event participants. 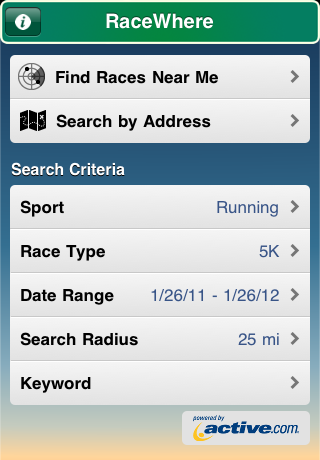 iRace, which was named one of 10 Essential iPhone Apps for Runners by popular technology blog Mashable.com, lets users find races on the go thanks to the Active Search API. 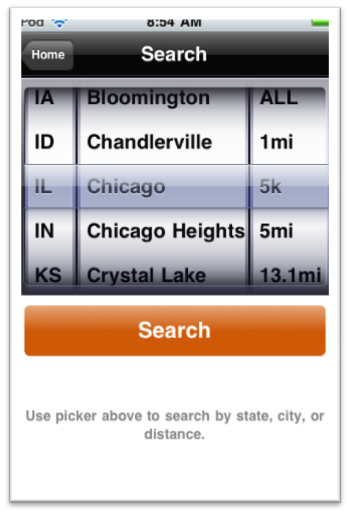 Application users can search for events by simply clicking a button that utilizes the iPhone's GPS, or find races by city, state, and distance. 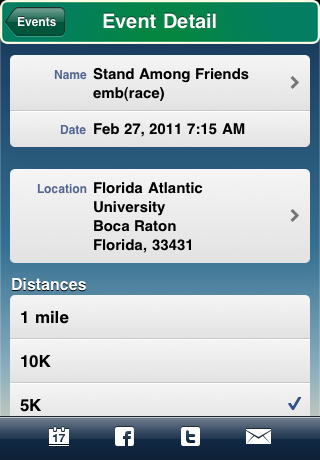 The app also features race results and enables you to challenge others to participate in a race. iRace was created by Brilliant Solutions, Inc. 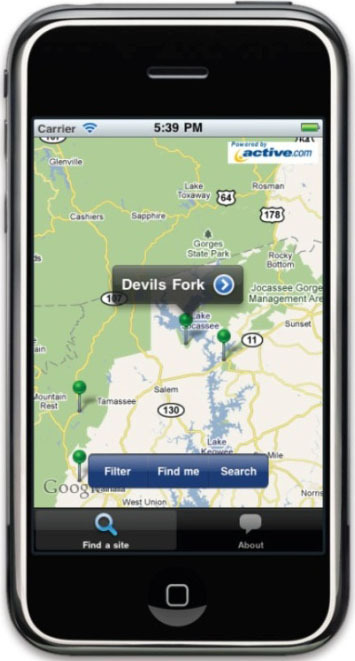 The Great Outdoors has come up with an iPhone application that exposes all of the filters and search features of the Active Reserve America’s camping API. 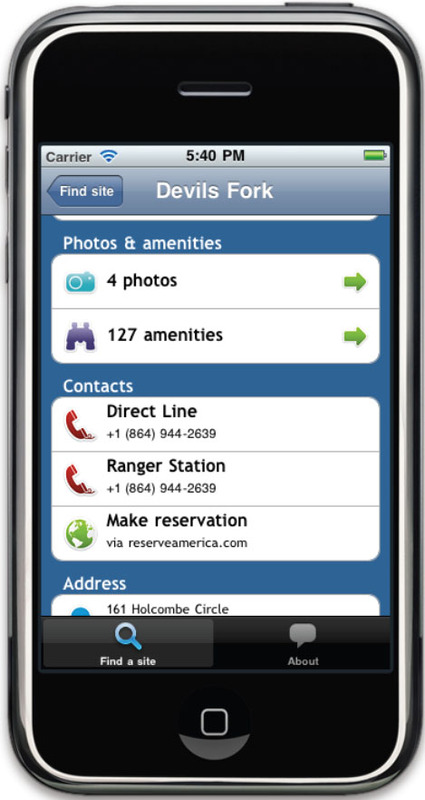 Results, photos and amenities are all presented in a user-friendly UI. 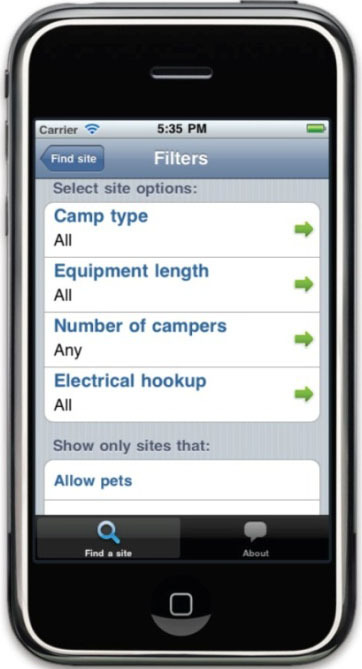 It’s a simple and clean way to find a camping site. 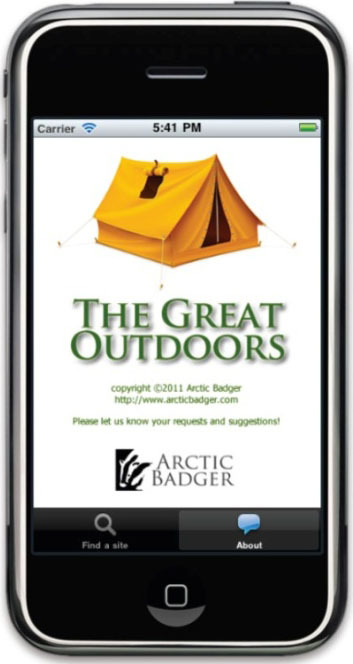 The idea for the app is to expand upon it to include a host of features including GPS mapping, Where's my tent?, Where's the car?, leaving a breadcrumb trail, emergency beacon, and much more.